We care about our community and take pride in serving our neighbors through both good and bad times. Let us work with you to continue moving forward. Located in Kennewick, WA and serving clients throughout Eastern, WA. Vacating your criminal history and Restoring your Firearm rights is an option that you may be afforded under the law. To find out if you are eligible and to get started on restoring your rights, contact Attorney Jennifer Azure today. To find out if you are eligible, fill out the "Get Started" form on this page or call our office to schedule a consultation. If you have received a citation from law enforcement, then you need legal help and advice. Contact us to review your case with you and potential courses of action. Driving Under the Influence (DUI or DWI) is one of the most common offenses charged in Washington State. Get Started on your defense today. No matter the offense, it is vital you consult a juvenile defense attorney as soon as possible in the face of a juvenile crime accusation or arrest. Jennifer Azure, did more for me and my family than i ever thought possible. Not only did she help get my case dismissed, she helped me get my life back. And to put things in the past that need to stay in the past. I would recommend her to anyone who is looking for someone to not only be in your corner, but someone you need to fight along side of you! Jennifer handled our family's case with professionalism and worked tirelessly to get the best outcome possible. She was always available to address our questions and concerns, and has continued to provide us with support and advice. I hired Jennifer to defend me in a case, and she went above and beyond. I was willing to take a lesser offer, but Jennifer went above and beyond to ensure all of the information was made available to the prosecution, and made efforts I wouldn't have expected. She helped me get a great deal on a weird situation. I am truly thankful. Jen helped me with a DUI case and was able to get me a great deal. She is very responsive to needs and always there to answer questions and assuage fears. I highly recommend her! Jennifer Azure helped me with a traffic infraction. She was very understanding and listened to my entire specific and complex case. For a very reasonable rate she took my case, which stretched over several months. She always explained every possible course of action to me and worked hard to achieve my desired outcome. I would recommend Jennifer Azure to anyone needing legal representation. Our company is needed in both good and bad situations in life, and we do whatever we can to make all cases a good experience no matter the circumstance. We look at our clients as people with genuine problems on which we can work together to find a resolution.  There are many law firms, but our numbers prove we have a good thing going here at Azure Law Office. We respect our clients and they respect us, and that is what sets our company apart from others. If you have questions regarding our firm, please give us a call. We will do everything possible to make sure we are the right fit for you and your family.